Reverend Eddie L. Jenkins was born in Selma, Alabama. He was born the second son of William J. Jenkins Sr. and Ms. Essie (Tolver) Jenkins. The family moved to Chicago, Illinois with four of the soon to be family of twelve. Being the son of a Pastor would benefit him in the foundational beliefs that would prove to be vital in the providential call to Spiritual leadership later in his life. After completing his primary and secondary education in the Chicago Public School System, receiving a diploma from the Westinghouse Voc. High School, enlisting in the military (U.S. Army) where he served his country with pride and dignity, he was awarded many accommodations and merits that still speak to his ability to lead. He met and married Patricia (Streeter) Jenkins and to this union two sons were born, Aramis J. Jenkins and Darius J. Jenkins. Eddie L. Jenkins was called to preach the gospel in September, 1987 and called to serve as the Senior Pastor of the New Hope Missionary Baptist Church, located in Michigan City, Indiana, where he served faithfully from 1989 to 2012. 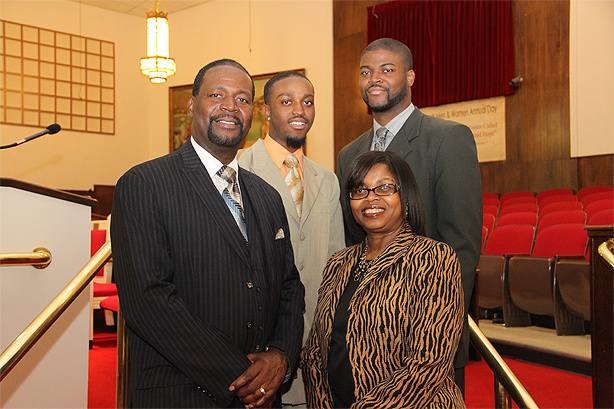 Having been led by the Spirit, and entrusted with the oversight and the people of God, New Hope Missionary Baptist Church grew spiritually, numerically and financially. 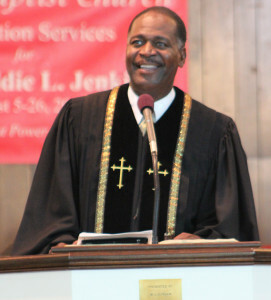 In June of 2012, Reverend Eddie L. Jenkins was called to pastor the Good Street Baptist Church with a mission for the church to shine as lights in darkness by Evangelizing (reaching) the Sinner, educating (teaching) the saints, and exalting (praising) our Savior Jesus Christ; being empowered by the Holy Spirit to love, learn, and live by faith in God’s Word, which has power to change lives, both locally and around the world. Reverend Eddie L. Jenkins has been afforded the opportunity to serve on various boards and committees, ranging from District, State and National positions in religious affiliations. 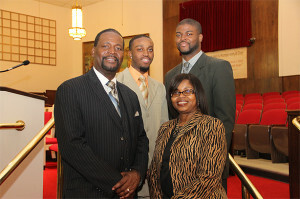 Assistant Instructor for Youth Evangelism of the National Baptist Convention U.S.A. Inc.
Reverend Jenkins received a Bachelor of Arts in Biblical studies from Aspen Christian College in Denver, CO, in 2004, and a Master of Arts in Biblical Studies from Aspen Christian College and Seminary in 2011. 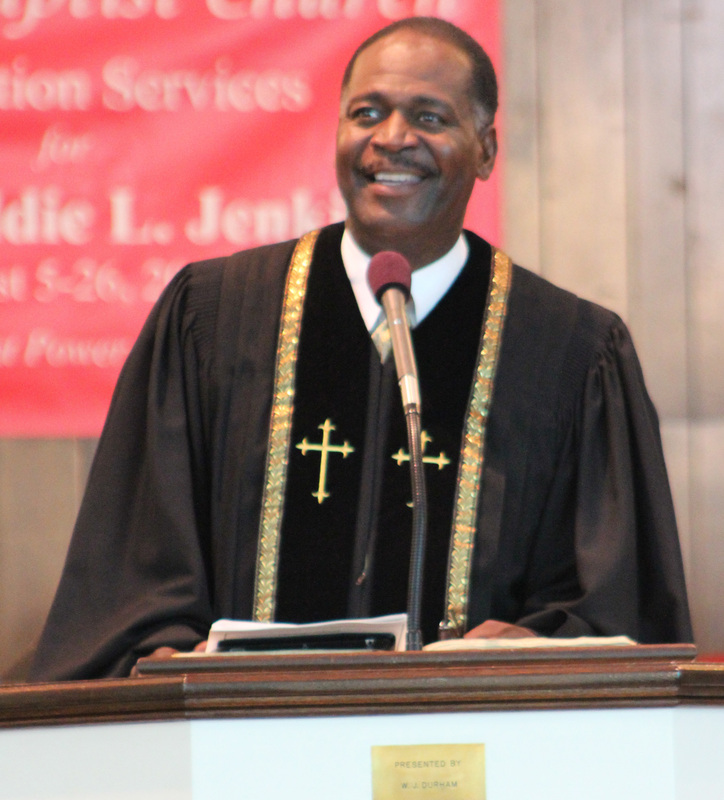 Most importantly, Reverend Eddie L. Jenkins is a man call of God, unto Salvation and Commissioned to preach the gospel of Jesus Christ, with a dedication to the building of the Kingdom of God.